This is a must try in Boracay. Staff was very helpful too. 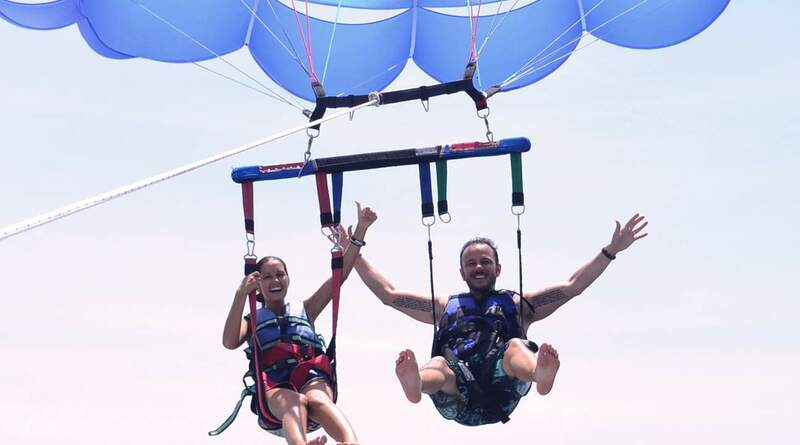 But i felt a little giddy during the parasailing & it could be due to the boat ride as well (you will need to take 2 boat rides before & after the parasailing). 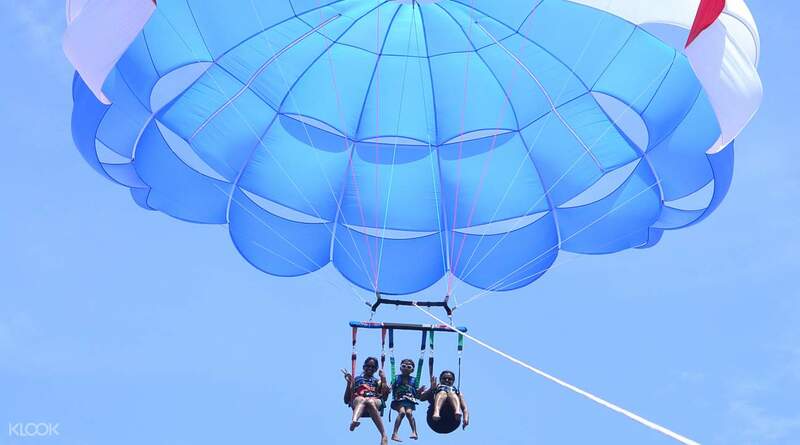 Take off on a single or tandem parasailing ride and witness the breathtaking view of Boracay's coastline. This adrenaline packed experience will allow you to enjoy the best views the island has to offer while being pulled by a boat. 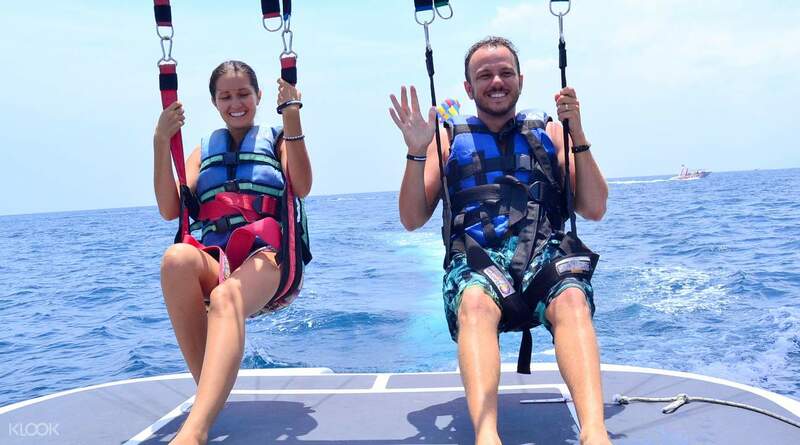 If you're feeling nervous, go on a tandem parasail with a friend and feel your worries melt away as you enjoy the view. The experience was really great. Super enjoy at sobrang ulit. masayaa! Worth the money. We did the activity during our Anniversary. so memorable. ☺ Thanks klook sa hassle free na experience. Thumbs up! The experience was really great. Super enjoy at sobrang ulit. masayaa! Worth the money. We did the activity during our Anniversary. so memorable. ☺ Thanks klook sa hassle free na experience. Thumbs up! One of the activities that can be done solo (couldn't book a couple of others due to minimum 2 or 3 pax). It's really fun floating up high! The boatmen can help you take photos if you pass them your phone before lift off. Reallt recommend it! One of the activities that can be done solo (couldn't book a couple of others due to minimum 2 or 3 pax). It's really fun floating up high! The boatmen can help you take photos if you pass them your phone before lift off. Reallt recommend it! The local operator arrived late at the meet-up location, but they were thoughtful enough to compensate with the inconvenience caused. Apart from that, everything went very smoothly. I am quite afraid of heights, but I had so much fun parasailing over the waters of Boracay. And with that, I’m giving it 5 🌟🌟🌟🌟🌟! The local operator arrived late at the meet-up location, but they were thoughtful enough to compensate with the inconvenience caused. Apart from that, everything went very smoothly. I am quite afraid of heights, but I had so much fun parasailing over the waters of Boracay. And with that, I’m giving it 5 🌟🌟🌟🌟🌟! Everything was perfect! The booking was easy and fast. I was picked up by by a speedboat at the Meeting Point and the parasailing itself was a great experience! Everything was perfect! The booking was easy and fast. I was picked up by by a speedboat at the Meeting Point and the parasailing itself was a great experience! It's my 4th time visiting here but this is my very first time to ride this activity. It was so much fun and the staff were very accommodating. Big thanks to KLOOK. It's my 4th time visiting here but this is my very first time to ride this activity. It was so much fun and the staff were very accommodating. Big thanks to KLOOK. We enjoy our parasailing, having a great time up there, the view from above and thank you for keeping us safe. We enjoy our parasailing, having a great time up there, the view from above and thank you for keeping us safe. The Parasailing adventure was awesome! 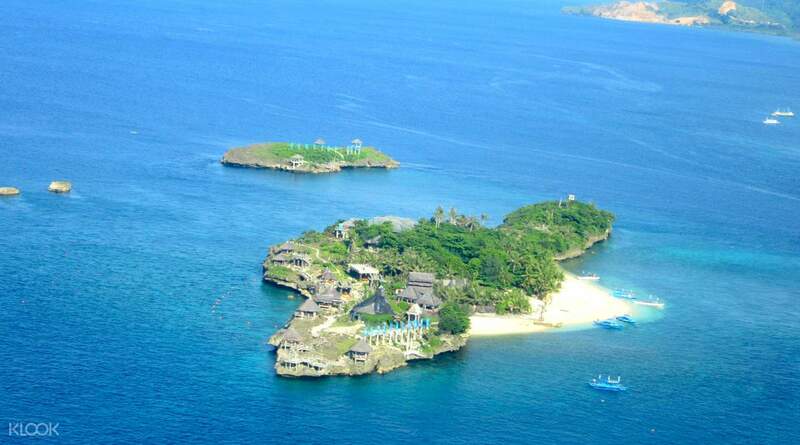 To enjoy the whole island with a birds-eye-view was such a humbling experience. Plus, the boatmen who serviced us were full of joy and enthusiasm which made the activity worthwile. I recommend this activity for adventurous individuals like me. Two thumbs up!!! The Parasailing adventure was awesome! To enjoy the whole island with a birds-eye-view was such a humbling experience. Plus, the boatmen who serviced us were full of joy and enthusiasm which made the activity worthwile. I recommend this activity for adventurous individuals like me. Two thumbs up!!! It was a very fun experience! Everyone should get to try it at least once while in Boracay. Truly unforgettable. If you want pictures, just leave your phone with the staff and let them know. They will take a lot of videos and photos for you to choose from. It was a very fun experience! Everyone should get to try it at least once while in Boracay. Truly unforgettable. If you want pictures, just leave your phone with the staff and let them know. They will take a lot of videos and photos for you to choose from.